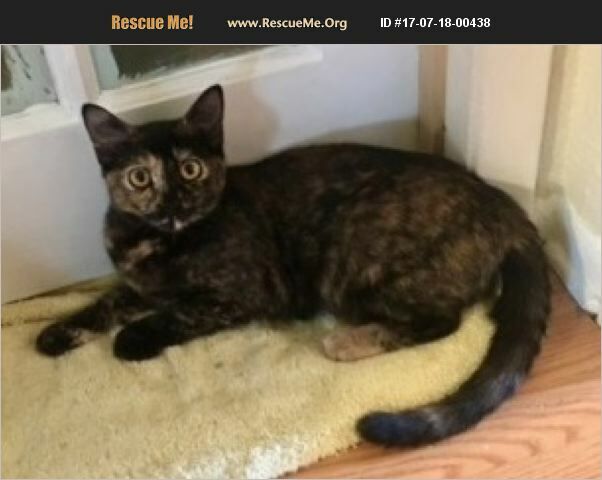 My name is Margo, and I am a beautiful little tortie girl with huge round copper-penny eyes who was born in October 2016. I'm a dichotomy because I'm playful as well as laid-back! I am a little shy but love hanging out and having a good time. I get along great with the other kitties in my foster home, but I'm not real sure about those dogs. So far, I just tolerate them. Because of my shyness, I'd best not be in a home with small children. I was picked up as an orphan stray kitten and ended up at a shelter. Fortunately my foster meowmy spotted me, scooped me up, and took me home with her. I'll always be grateful to Buster's Friends for rescuing me because we all know what happens when you stay too long at a shelter! Now I'm ready to find a patient family who will work with me at overcoming my shyness, shower me with TLC, and love me forever. I admit that I'm guarded with strange humans, and my new family will need to let me have my space until I learn that I'm safe in my new home. And, of course, yummy food and special treats will go a long way towards building my trust and eventual affection. My new family's patience will be rewarded with such love and affection as will prove that all their efforts were worthwhile. Won't you come meet me today? Margo is updated on shots, spayed, dewormed, microchipped, FIV/ FeLV negative, and ready for her indoor-only home. No de-clawing permitted. Her his adoption fee is $100, cash or check payable to Buster's Friends. Please click the contact button if you are interested in Margo, and we can let you know exactly where you can meet her. To make the process more efficient, download the adoption application at http://www.bustersfriends.org/catadoptionapplication.shtml. First save and then open it; then you can print it and fill it out.